Do you dare the Tunnel this season ? 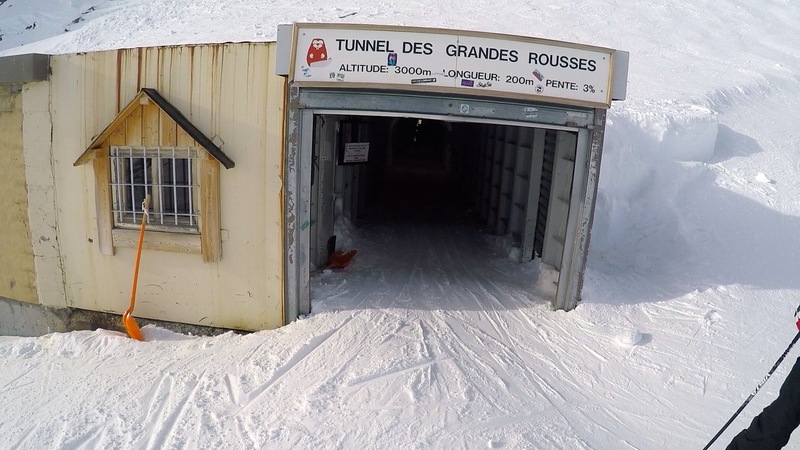 Seen as the scariest, most intimidating slope in Alpe d'Huez is The Tunnel. For the adrenaline seekers amongst you, this run is one to try if you dare. To get to the Tunnel you must catch the same cable car as you would for Pic Blanc, stunning in itself up at 3300m. From Pic Blanc you ski down the top part of the famous Sarenne and you are soon greeted with the Tunnel opening. So why it is called the Tunnel? Quite straight forward really because you have to go through a tunnel to reach the top of the slope. A tunnel 300 metres long. Apparently there are lots of shrines and paraphernalia of people that didn't make it (wind-up!). Once you come out of the dark tunnel you find yourself staring down at a vertical drop with moguls as big as cars. The experience definitely takes you back to doing your first ever death slide at an adventure playground. You have to go for it and if you manage the top part you'll probably be alright on the rest of the run. Top Tip - Do check out snow conditions before you go and try the tunnel. In the early afternoon when the sun is on the slope is usually best GOOD LUCK! Your performance relies on the snow conditions - good snow and you'll probably sail down. Bad snow conditions and it could be a real challenge.